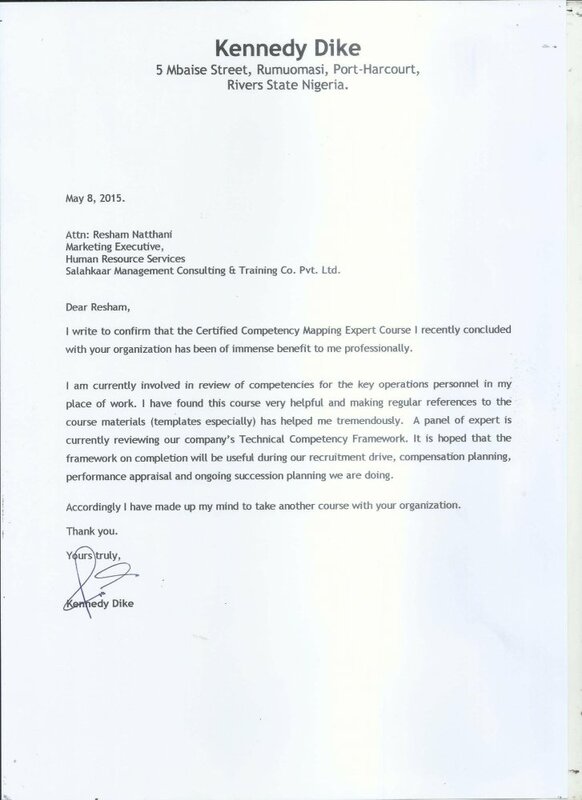 Salahkaar Consultants is pleased to bring to you a comprehensive OD certification program. This program is designed for those seasoned and the budding professionals who are interested to gain expertise by mastering the theory and practices of Organisation Development (OD). This course will also help those who are already working in the OD field as trainers, consultants or as a manager and want to be more visible and credible in the profession by deepening their capabilities. The program is also meant for those who may be new to the OD/HR/L&D field or currently practicing in OD or related fields and for those in HR/L&D/Change Management and/or Management Transformation roles. This certification program will provide the participants with theories, processes, tools, competencies & hands-on guidance and mentoring (practices) needed to become an OD Expert to practice or consult for an organizational position. The enrollment form is attached here. You can send money using any mode which is used to send money from your country like your US Dollar account or online payment option like Paypal, Payumoney, etc. Let us know if you wish to make online credit or debit card payment as we will send you a link to do so. For bank transfer, you will be required to send money to our ICICI banks account. Get trained by the top and the best trainers in the business. Thorough application-based training modules . Guaranteed benefits to the participants. Aimed to make participants a subject matter expert. We use internationally acclaimed modules and case studies. We have trained executives at various levels from MBA/ Social Sciences students to Supervisors to director level personnel. We will also provide an ongoing learning for longer duration post this workshop as we support this idea by ways of e-groups post and book reviews for participants. Possibility of interaction and collaboration with international participants and very senior executives / professionals from HR area like Director HR / CHRO, etc. Focused attention to each participant as the maximum intake for the program is limited. The fields of Organisation Development has focused on improving the effectiveness of organisations and the people in organisations. OD can also be referred to as a response to change, an approach intended to change the beliefs, attitudes, values, and structure of an organisation so that it can better adapt to new technologies, markets, challenges, and the dizzying rate of change itself. Organisational change occurs when an organisation changes its overall strategy for success, adds or removes a major section or practice, and/or wants to change the very nature by which it operates. It (change) may also occur when an organisation evolves through various life cycles, just as it evolves, must successfully through its life cycles. For organisations to develop, they must undergo significant changes at various points in their development. That's why the topic of organisational change and organizational development has become widespread and interconnected. In this program, participants will learn to manage interventions for Organizational Development (OD) and simultaneously. help to evaluate the present situation, plan & organize the change and finally implement the required change. And also trains on ways to take organization to a development cycle stage. establish standards of professional practices so that practitioners and service-users know the performance standards with regard to OD Practitioners’ competency and their standard of ethical behavior and practices. provide quality assurance to practitioners and employers/clients, learners and other stakeholders that the knowledge, skills and practice of the Organizational Development to meet international standards. give participants internationally acceptable expertise and credibility, respect and professional status by certifying them as a Certified OD Expert. Introduction to Organisation Development (OD) – Theory, Practice and implications. Qualities and skills needed for OD consultants – Consultants’ Score Card. OD and OD Facilitation - Core Competencies of a facilitator, their Ethics & Values, and Process . Analysing Organisation Systems, Design and Dynamics- Diagnostics, Assessments. How OD Interventions improves Organisation and Personal Effectiveness? Tools and techniques of OD facilitation. OD Facilitation Skills-Hands-on practices in such Facilitation Methods as Survey Intervention, Process Consultation,Personal Growth Circle Lab, Team Building and Team Work, Stress management,Designing and improving Organisational Culture. Application of OD facilitation techniques for Organisational Change and Strategies. This program is for those individuals interested in advancing their professional skills in the field of OD. They will be able to understand the concept of Organizational Development and its process. Learn practical skills and to develop the capability to gauge the need of intervention at different system levels. Opportunity to learn OD by facilitators with several years of unique experiences in OD Consulting & Facilitation. They will be able to handle independently change management challenges. Success stories of OD in some of top companies. He was invited to present a paper as well as chair scientific / academic session during the 24th International Congress of Applied Psychology (IAAP), San Francisco and in several other international seminars and conferences in India as well as abroad. Declared Man-of-the year (1997) by the ABI, U.S.A. for his leadership roles in the academic world. He was offered foreign Affiliate Membership of American Psychological Association, USA and full Hon. Membership of the International Association of Applied Psychology (IAAP,Head Quartered in Holland ) for three successive years. He has visited on academic assignments /visiting faculty to several national and international institutions including the Universities of Cambridge and Loughborough University of Science and Technology, UK. He was declared National Associate by the University Grant Commission, New Delhi, at the young age of 29 years. He has wide industry experience of around 35 years as consultant to management and top HR teams.